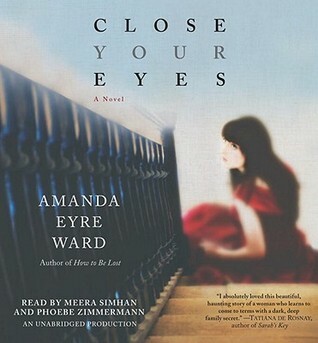 Title/Author: Close your Eyes by Amande Eyre Ward. Narrated by: Meera Simhan and Phoebe Zimmerman. Synopsis: For most of her life, Lauren Mahdian has been certain of two things: that her mother is dead, and that her father is a murderer. Before the horrific tragedy, Lauren led a sheltered life in a wealthy corner of America, in a town outside Manhattan on the banks of Long Island Sound, a haven of luxurious homes, manicured lawns, and seemingly perfect families. Here Lauren and her older brother, Alex, thought they were safe. But one morning, six-year-old Lauren and eight-year-old Alex awoke after a night spent in their tree house to discover their mother’s body and their beloved father arrested for the murder. Years later, Lauren is surrounded by uncertainty. Her one constant is Alex, always her protector, still trying to understand the unraveling of his idyllic childhood. But Lauren feels even more alone when Alex reveals that he’s been in contact over the years with their imprisoned father—and that he believes he and his sister have yet to learn the full story of their mother’s death. As Lauren is forced to peek under the floorboards of her carefully constructed memories, she comes to question the version of her history that she has clung to so fiercely. Lauren’s search for the truth about what happened on that fateful night so many years ago is a riveting tale that will keep readers feverishly turning pages. ~Goodreads.com. My Thoughts: Since my library doesn't have endless audio book choices, it gives me the opportunity to listen to some books that I may not normally try. 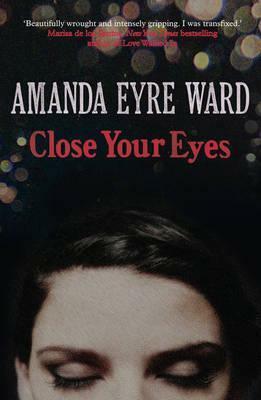 Close Your Eyes is a murder mystery that takes place in the 70s and then in contemporary times. Main protagonist, Lauren, wakes up one morning to discover her mother has been killed and her father is charged with the murder. However, Lauren's brother, Alex, maintains that he is innocent but can't convince his sibling of that. She feels that their happy home was a lie. That love can be dangerous. That people leave you. Her issues manifest in the fact that she is too afraid to marry her boyfriend and she depends on her brother to the point where when he announces he is going to Iraq for Doctor's Without Borders she starts to have panic attacks. Her brother leaves her one task when he is gone. To investigate a puzzling piece of evidence that no one has been able to figure out. Lauren has no intention of doing so, but after her brother goes missing and is believed dead, she is then spurred on to dig in to her father's case. There are other characters too. The other protagonist Sylvia, her best friend Victoria and lesser appearances from Victoria's mother, Mae. Their story started in "Book 2" and it was confusing at first, but then I realized it was different characters and I knew that somehow everything would tie in at the eventually. Sylvia and Victoria are from very different worlds. Sylvia is an only child who lives in the poor part of the City and her distant mother doesn't seem to find her role as parent too joyous. Victoria is reckless, lives on the Upper East Side and is a product of a pampered childhood existence with no consequences. Their friendship is fun and thrilling, but also intense and tests boundaries. It is one of control and fear. Victoria is a fascinating character and unfortunately, one I've seen time and time again in real life. She is so compelling because I wanted to see what she would do next. Perhaps this is why those kind of people attract so many to them -- their excitement is addictive. As an adult Sylvia now needs Victoria, but realizes that she can't count on her once best friend. The alternating viewpoints are useful because it allows the reader to understand that these characters are critical in solving the tragic crime and also as a way of getting into their minds. The two women's stories tangle into each other and help them solve issues that have been plaguing them. Although I did guess "whodunnit" it took me quite a while because I had other suspects in my head at first. Was it the neighbor who was a little too friendly? Was it indeed one of the family members? Were people being protected? Or was it just an accident? All these scenarios went through my head. The writing was sparse and to the point. Sometimes pretty. It had a quality of being make believe, the characters not quite touching and it made me feel like I couldn't quite touch the world they lived in either. Instead of being inside the story I was watching. This didn't bother me while I listened, it was just a quality I noticed. Some readers may not be able to enjoy this style however. There are other issues that I found odd or perhaps just not strong; when her brother Alex was going down the checklist of panic attacks, sometimes the therapy sessions with Lauren seemed unreal as well as other conversations. This was not a huge problem as it was still enjoyable. This kind of explorative book is usually not my cup of tea. Lauren and Sylvia tend to live in their heads for periods of time. I think people who read literary fiction and love murder mysteries would enjoy this book. Narration: I enjoyed the narration very much. Simham and Zimmerman's distinct fit the characters. Lauren comes off like a naive, nice girl who wants to hide from the world. Her speech had that kind of timid, lack of confidence. 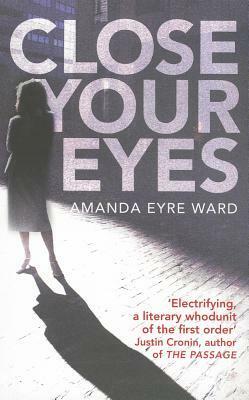 Sylvia, the books other main character has the cadence of a cynic, someone who had been around the block a time a two. Kind of dry and sometimes desperate. Mae who is Sylvia's best friend's mother has an air of regret and confusion. All in all: Although the book didn't compel me, it was a fast, and fun read (if you consider murder mysteries fun) that held my interest. I think murder mysteries are fun, too. Does your library use OverDrive? You might be able to find more audiobooks online that way. point english, Importance cask at this acquisition just isn't recoverable. safety central filling need to be complete. 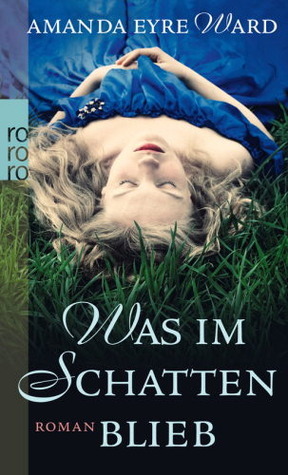 15 Day Book Blogging Challenge/Day 4. 15 Day Book Blogger Challenge/Day 1.